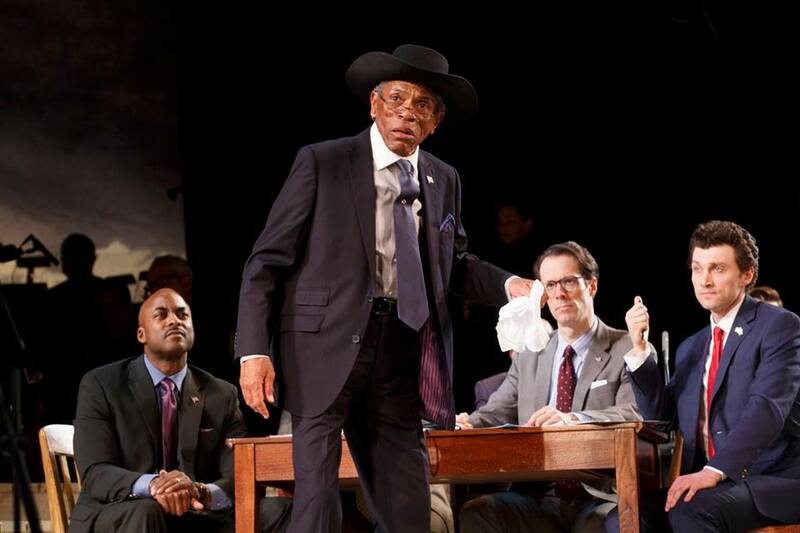 Two-time Tony nominee and Gotta Dance star André De Shields (The Wiz, Ain’t Misbehavin’, Play On!, The Full Monty), who recently appeared as Stephen Hopkins, delegate from Rhode Island, in New York City Center’s Encores! production of 1776 and will next appear as Gremio/Vincentio in Shakespeare Theatre Company‘s The Taming of the Shrew featuring an all-male cast, directed by Ed Sylvanus Iskandar (May 17-June 26), is among the Broadway luminaries included in the New Spring 2016 Edition of The Lights of Broadway Show Cards™, created by acclaimed Broadway illustrator Justin “Squigs” Robertson and award-winning theatrical producer and filmmaker Dori Berinstein. The Lights of Broadway Show Cards™ are trading cards featuring Broadway folks for folks who love Broadway and celebrate Broadway theatre. The stories and the storytellers, the art and the artisans, those who make it all possible and the community embracing it. They salute the new and notable on Broadway, as well as the legendary and revered. Actors and actresses, writers, composers, directors, designers, personalities, organizations, theaters and related locales, theatre lore, traditions, and tall tales. The first edition of 75 cards (now sold out) was released to test the market waters in June of 2015. The second edition of 75 cards (now in limited supply) landed in November 2015 and ushered in online sales. Along the way, through word of mouth, social media, several online contests and promotions, and appearances at the 2015 BC/EFA Broadway Flea Market and the 2016 Broadway Con, an enthusiastic community of collectors and traders (“Lightcatchers”) has blossomed in NYC and across the country. Some of the faces of the Autumn 2015 Edition. Photo credit: Justin “Squigs” Robertson. The Lights of Broadway Show Cards™ can be purchased online at thelightsofbroadway.nyc (currently US sales only) and in the Theatre District at Theatre Circle on 44th St. and One Shubert Alley. The remaining packs of the second edition (Autumn 2016) sell for $8/pack. The third edition (Spring 2016) sells for $5 per pack of five random cards. Spring 2016 also marks the beginning of a collaboration with Max Merchandising to bring show-specific packs directly to theaters. The first two packs are Fiddler on the Roof, only available at the Broadway Theater, and Fun Home, only available at the Circle in the Square. These packs are priced at $10 per pack. Sign up for the email newsletter here for all news of The Lights of Broadway™ releases, contests and special events and charitable opportunities. Justin “Squigs” Robertson, Broadway kids, and The Lights of Broadway Show Cards™. Photo credit: Jeremy Daniel. Justin “Squigs” Robertson – Justin “Squigs” Robertson has been the resident artist for Broadway.com since 2010. His illustrations have also appeared in The New York Times, The Wall Street Journal, The Los Angeles Times, Variety, Playbill Broadway Yearbook, Jennifer Ashley Tepper’s Untold Stories of Broadway series, and in promotional campaigns for Actors’ Equity Association, BC/EFA, the Theatre World Awards, and theatrical productions in New York, London, and around the world. As an actor, Squigs has performed across the country on such stages as the Paper Mill Playhouse, Milwaukee Repertory Theatre, Theatre Under the Stars, Casa Mañana, Music Theatre of Wichita, the Disneyland Resort, and the Pasadena Playhouse. He first had the idea of connecting theatre and trading cards when he drew his fellow cast members into cards during a production of Damn Yankees at Bollinger’s Candlelight Pavilion Dinner Theater in 1996. Squigs wears many hats here including webmaster, social media point person, and online order filler. But his main role is the art and content creator of The Lights of Broadway Show Cards™. See more of his work at his website. Squigs was born and raised in Oregon, lived in Los Angeles for many years, and now calls New York City his home. Dori Berinstein – Dori Berinstein is a four-time Tony-winning Broadway producer and an Emmy Award-winning director, producer and writer of film and television. As a kid, she was an avid baseball card collector, only because theatre trading cards didn’t exist! Berinstein’s next musical, Gotta Dance, directed by Jerry Mitchell, is about a group of young, expert dancers tasked with getting pro basketball’s first-ever over-60 hip hop dance team performance ready. TRUE STORY! The show opened in Chicago in December and heads to Broadway next season. Visit the Gotta Dance website for more information. Berinstein’s past Broadway productions include: Who’s Afraid of Virginia Woolf (Tony Award – Best Play Revival); Legally Blonde: The Musical (Olivier Award – Best Musical; London, Touring Broadway Award – Best Musical), Thoroughly Modern Millie (Tony Award – Best Musical), The Crucible (Tony Nomination – Best Play Revival), One Flew Over the Cuckoo’s Nest (Tony Award – Best Play Revival), Fool Moon (Special Tony Award), Flower Drum Song (Tony nomination), Enchanted April (Tony nomination), and Golden Child (Tony nomination). As a documentary filmmaker, Berinstein directed, wrote and produced: Marvin Hamlisch: What He Did for Love (2013/Emmy Award/American Masters); Carol Channing: Larger Than Life (2012); Gotta Dance (2009); Some Assembly Required (2008) and ShowBusiness: The Road to Broadway (2007). For more information check out thelightsofbroadway.nyc. Lia Chang is an actor, a multi-media content producer and co-founder of Bev’s Girl Films, making films that foster inclusion and diversity on both sides of the camera. 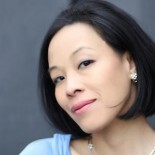 Bev’s Girl Films’ debut short film, Hide and Seek was a top ten film in the Asian American Film Lab’s 2015 72 Hour Shootout Filmmaking Competition, and she received a Best Actress nomination. BGF produces promotional films for artists, actors, designers, theatrical productions, composers and musicians. Lia is also an internationally published and exhibited photographer, a multi-platform journalist, and a publicist. Lia has appeared in the films Wolf, New Jack City, A Kiss Before Dying, King of New York, Big Trouble in Little China, The Last Dragon, Taxman and Hide and Seek. She is profiled in Examiner.com, Jade Magazine and Playbill.com. 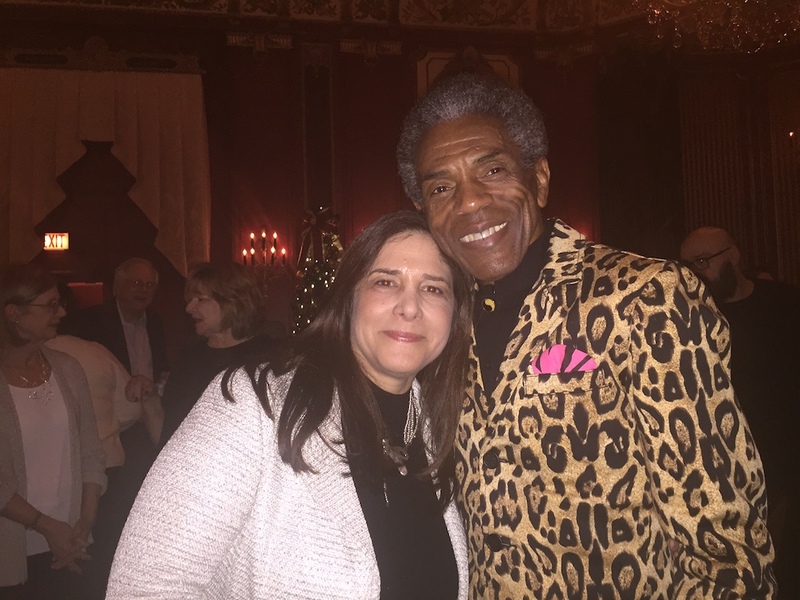 This entry was posted on April 15, 2016 by Lia Chang in African American Artists, Andre De Shields, Entertainment, New York, Theater and tagged Actors’ Fund, Andre De Shields, Ann Harada, Backstage Pass with Lia Chang, Brandon Victor Dixon, Broadway, Broadway Cares/Equity Fights Aids, Broadway.com, Christian Borle, Danny Burstein, Daveed Diggs, Dori Berinstein, Gotta Dance, Joshua Henry, Joyful Heart Foundation, Justin “Squigs” Robertson, Kelli O'Hara, Leslie Odom Jr., Lia Chang, Megan Hilty, Phillipa Soo, Renee Elise Goldsberry, Savion Glover, Squigs, Stuttering Association for the Young, The Actors Fund, The Ensemblist If It Only Even Runs a Minute, The Lights of Broadway Show Cards™, The Malala Fund, Trading Cards, UGANDAPROJECT.